Handy Andy is a bit of whizz when it comes to being a good disinfectant. It does a brilliant job and it most welcome in our household. Handy Andy cleaner and disinfectant is an excellent product to keep your floors clean and lovely,a good price and a product that works very well. 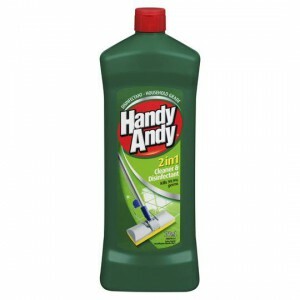 How would you rate Handy Andy Cleaner And Disinfectant Green?